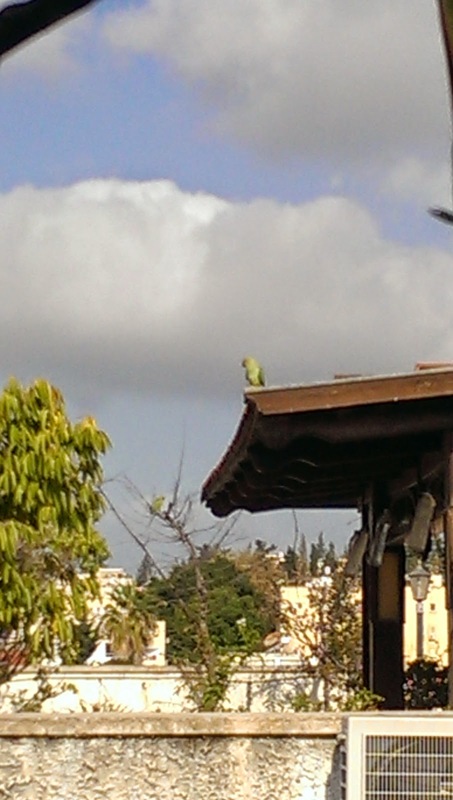 Some of the parrots I was blogging about last night joined us on the roof this morning for breakfast! This isn't the best shot, but you can see that it's green and parroty, no question. I'll try to get a better picture during our stay here in wild Israel.